One of the things for which electric shavers get a constant bashing, especially from wet shaving purists, has to be the closeness of the shave. 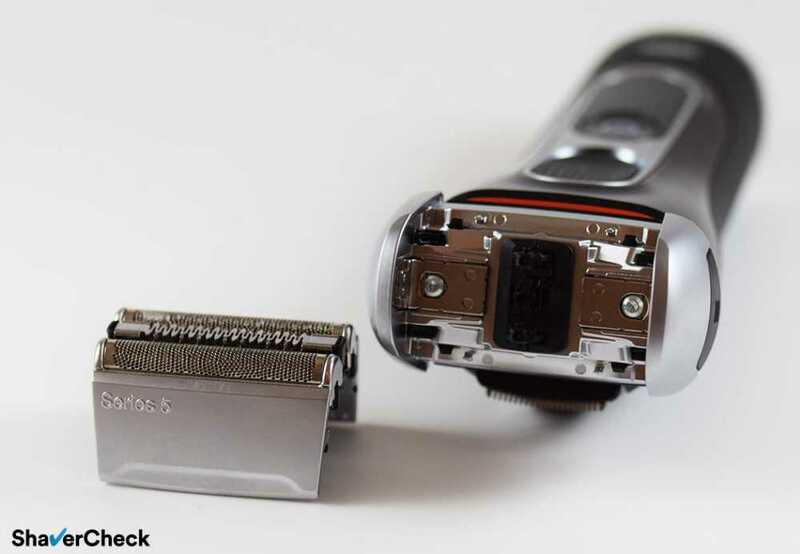 You’ve probably heard or read in some forums or message boards that electric razors can’t even dream of matching a razor blade in terms of closeness. The funny thing is that the vast majority of these statements come from men that have only used an electric shaver once or twice. I’m also going to assume that their technique was probably not on point or the shaver wasn’t suitable for their particular needs. There are pros and cons to anything and I’ll be the first one to admit that the benefits of electric shavers come with a slight trade-off in closeness. However, with a few easy to implement steps we can reduce this trade-off to a minimum and actually get a shave that’s close by anyone’s standards. Is closeness an inherent limitation of electric razors? Traditional wet shaving, where a blade is used to cut the hairs at skin level, is the benchmark in terms of closeness. That is a fact and there’s really no point in arguing over it. Electric razors on the other hand use cutting blades that oscillate or rotate behind a perforated thin foil or metal guard. This means there’s a physical barrier between the skin and the actual blades, so the very design and operation of electric shavers are the cause of this limitation. Manufacturers have constantly tried to compensate for this drawback and today’s electric razors are capable of providing excellent results. But that alone is not enough in order to get the closest possible shave with an electric shaver. With that in mind, I have compiled a list of what I consider to be the single most important things you can do in order to improve the closeness of your shave when using an electric razor. I’ve written quite a few general guides in the past regarding electric shaving and I definitely recommend reading those as well, but here we will only focus on the closeness part. 1. A simple pre-shave routine is as important as the actual shave. I know it’s probably the least exciting part of this list, but it’s the foundation of a comfortable and close shave. It’s quite astonishing how getting the basics right can massively impact the final results. My recommendation? A simple and effective pre-shave routine. Do not skip this part. 2. Use an electric shaver that is up to the task. There are quite a few electric razors out there that offer excellent performance for the money. 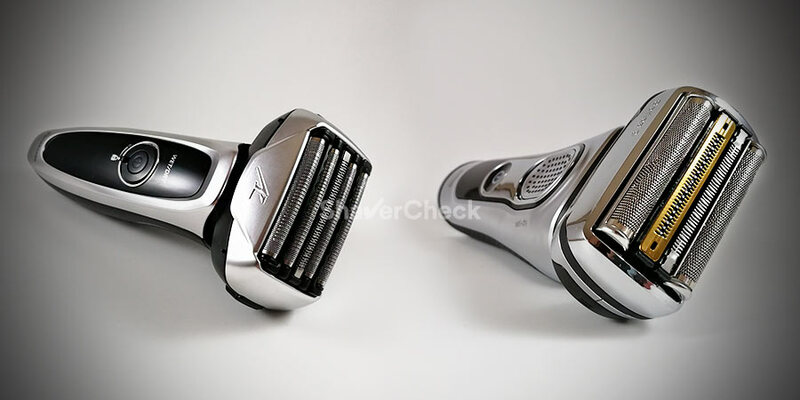 However, an entry-level shaver that’s great for shaving daily can’t compete with a high-end razor like a Braun Series 9 or a Panasonic Arc 5 when it comes to performance. If closeness is more important than getting the most bang for your buck, then a powerful and more advanced razor is mandatory. As a side-note, I get a subjectively closer shave when using a foil-based razor as opposed to a rotary shaver. I also recommend checking out this article for some in-depth thoughts on some of the closest shaving electric shavers you can buy today. Wet shaving with an electric razor can vastly improve the comfort and, of course, the closeness of your shave. A quality shaving cream will soften the hairs and provide lubrication, allowing the razor to cut the stubble efficiently and close to the skin. The added comfort means that you can get away with more strokes and a bit more pressure than usual, again contributing to the closeness of the shave. The lather also acts as a lubricant for the blades, minimizing the friction and the heat and simply makes the razor more forgiving. Quick tip: only apply a very thin layer of slick, watery lather. I find using my hands and working the lather into the stubble to work best. So the approach here is a bit different than in the case of traditional wet shaving where you would use a brush to build that fluffy, rich lather. If shaving cream is not an option for you then skip this step and check out the next one. 4. Use an electric pre-shave lotion or powder. This is probably the next best thing if wet shaving is not your thing. Dry shaving requires your skin to be as dry as possible, but the moisture and oils of the skin make things more difficult. Moreover, the razor also has to deal with flat-lying hairs. An electric pre-shave lotion will provide a layer of lubrication, absorb the moisture and cause the hairs to stiffen up and stand straight. Using one will often contribute to a closer and smoother shave. 5. Make sure the razor is fully charged. This definitely has to be on your before shaving checklist. In my personal experience, I get the closest shaves when I use a fully charged razor. 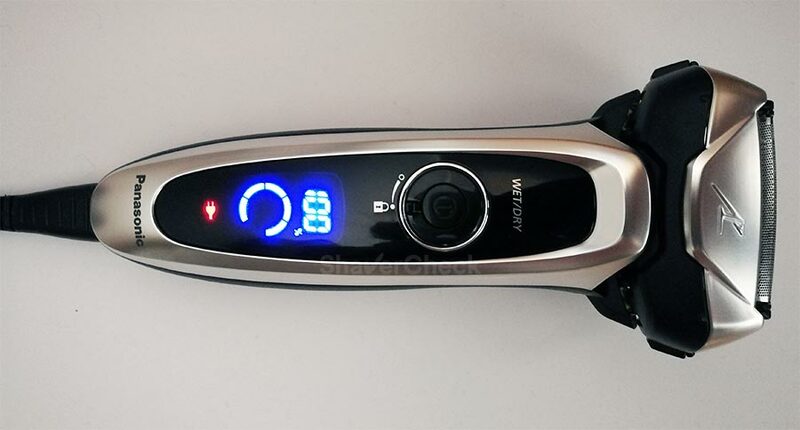 While many manufacturers state that their shavers can maintain peak performance right until the moment the battery is fully drained, in practice things are quite different. The loss in power is not massive, but enough to have an effect on the final result. You’ve probably noticed that a fully charged razor even sounds faster than one with a battery level of 50% or less. Again, we are only concerned with the closeness here and you’ll want to take advantage of the full cutting power of your razor. If you’re concerned that this will affect the lifespan of the battery, you can rest assured that it won’t. Modern Li-Ion batteries that are fitted to electric razors aren’t susceptible to the problems of the older NiMh or NiCd batteries. For more information on this topic check out this post. 6. Clean and lubricate your razor. Apart from being a very welcoming environment where bacteria can thrive, dirt buildups will affect the performance of an electric shaver. Whether you use an automatic cleaning station or you do it yourself, always clean your razor thoroughly after every use. Also, lubricating the blades and foils on a regular basis will minimize the wear and reduce heat generated during use. A cleaning spray specifically designed to be used on electric shavers can also be used instead of (or alongside) the cleaning and lubricating method above. 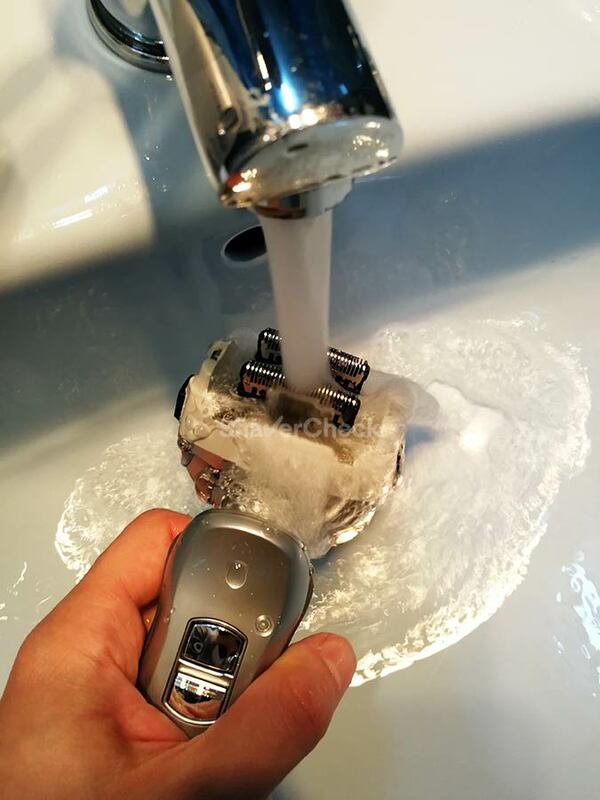 In fact, I highly recommend you to get one as it will make a massive improvement to the performance of your shaver, especially if you don’t have or you don’t use an automatic cleaning station. A spray cleaner and lubricant will clean, degrease, remove dirt and break down mineral buildups from you shaver’s foils and blades, reducing the friction and minimizing the stress on the motor. 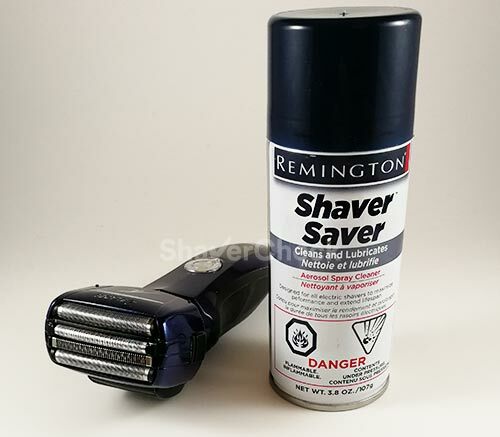 I personally use Remington Shaver Saver and I can honestly say that it’s a fantastic product. If your shaver doesn’t cut as close as it used to, just trust me on this one and get it. You won’t regret it. This one is pretty self-explanatory. Depending on how often you shave and the coarseness of your beard, the blades and foils must be replaced every year or so. This is important not only for closeness, but for safety and comfort considerations as well. Do not wait until the blades have worn through the foils and always buy the parts recommended by the manufacturer. Again, I find a spray cleaner and lubricant to significantly extend the lifespan of the cutting elements and it’s a lot cheaper than buying new replacement foils and blades. 9. Work on your technique to get a closer shave. Adjusting the pressure, angle, direction and the length of the strokes are necessary when shaving certain areas, like your neck, chin or the jawline. Always go against the direction of growth and adjust accordingly. Sometimes you may also have to stretch the skin with your free hand so the razor can cut the hairs more efficiently. This will also cause the flat-lying hairs to stand upright. Do not apply excessive pressure as it will only lead to irritation. Some razors are more forgiving and you can get away with it, so try it gradually and see how it goes. I also recommend starting your shave with the most difficult areas as they require more time, attention and patience. If you’re just starting out, it may take some time until you will master shaving with an electric razor. But you will definitely see progress, so just stick with it. 10. Be patient and thorough. Getting the closest possible shave with an electric razor also means more effort. There’s prep work and then there’s the actual shave. But these extra steps will definitely be worth it in the end. 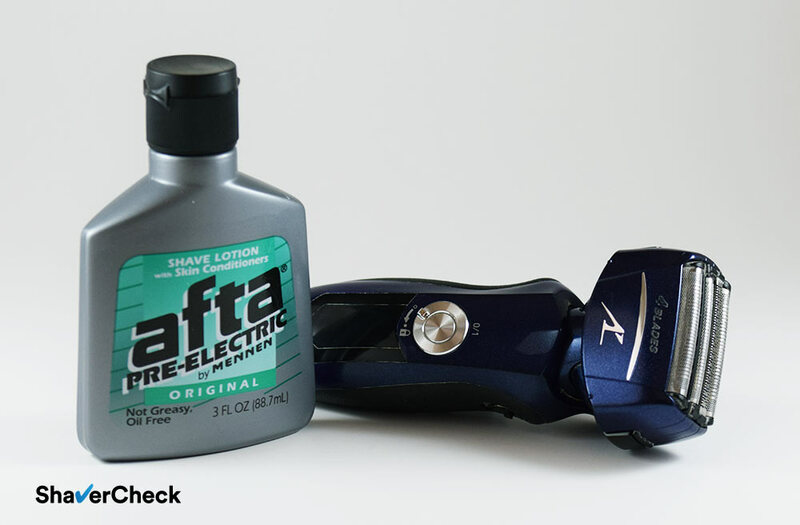 How close can an electric razor shave if everything’s done right? Short answer? Pretty darn close. I may be accused of being biased as a longtime proponent of electric shaving, but when using the right shaver and following the steps above I am able to get a shave that is almost as close as the ones I used to get from a safety razor (minus the nicks and rashes). It is a bold statement, but that’s just my personal experience and trust me, it wasn’t always the case. However, my technique has improved throughout the years and electric shavers kept getting better and better. As I mentioned in the beginning, electric razors have this limitation compared to a razor blade, being designed to prevent the cutting elements from actually touching the skin. This ensures great comfort during use, but can negatively impact the closeness. But with the right shaver and these simple adjustments, you can significantly improve your results. I think the skin is more likely to cause some problems than the hairs themselves. The skin loses elasticity and becomes flaky and wrinkly, while the hair follicles simply produce less melanin, resulting in that greyish/white color of the shaft. Try using a pre-shave, it can help with priming the skin. Shaving more often could also be beneficial. Would a close shave also be possible with let’s say a braun 5 5190CC? I’ve got the mentioned device and I notice it still leaves stubbles around the area between my ears and jawline and my chin, causing my chin to look like a morning after stubble beard. – Always go against the grain; this implies changing the direction of the strokes if your beard grows in different directions. I had shaved with an electric razor before, but for the last several years I’ve been wet shaving with a DE safety razor. I’m retired now, and don’t need a BBS shave, or even to shave every day. My wife gave me a Braun 790cc for Christmas, and I’m enjoying it very much. My beard is completely white now, even though the hair on my head is still mixed brown and white. It is harder to see white hairs unless they are pretty well grown out. I have found that I get the best results when I shave every other day, use a pre-shave (I like Mennen Afta) and shave before showering. I get a very satisfactory and comfortable shave this way, although it isn’t as close as I was getting with the DE razor…but neither do I get cuts, irritation, or burn. Not to mention that I can shave at the kitchen table while I watch TV and drink coffee! Thank you for your comment, Ken. I’m glad you’re enjoying shaving again with an electric razor. They can be ideal in many situations and are a great compromise of comfort and closeness. Maybe you could add some information about trimmers please? I use just a BRAUN BeardTrimmer to shave and can’t find any information about lubricating of it’s blades. There was an original BRAUN oil in a package so looks like it should be used. But how often and in which way – no any information. Many thanks for your comment. I didn’t cover beard trimmers so far as I don’t maintain a beard, so I wouldn’t be able to test one and express a valuable opinion. Regarding your question, lubricating a beard trimmer once or twice a month should suffice. 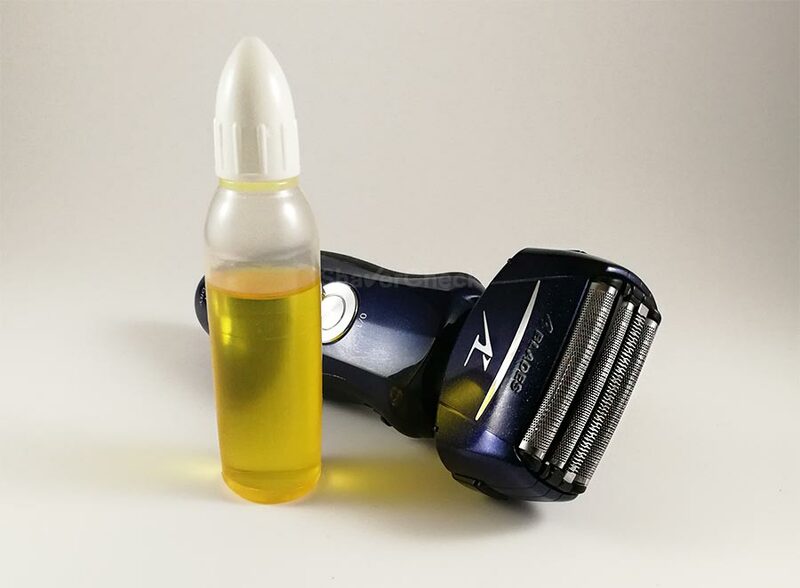 You can use other brands of oils that were specifically designed for trimmers, like Wahl clipper oil. That one is inexpensive and won’t gum up the blades. Anyway almost each model of Braun shavers of which you make your reviews contains a built-in trimmer. And I think maintenance is the same for built-in and separate trimmer. That is correct — any trimmer is basically a set of blades, a fixed one and an oscillating one on top. I guess the pop-up trimmer that is integrated into an electric shaver would effectively be used less time compared to a beard trimmer. After all, we’re talking about tweaking sideburns vs trimming an entire beard. With that in mind, I would probably lubricate a beard trimmer every two weeks or so. Just make sure to hold your trimmer with the blades pointing down to avoid any possible oil leak inside the motor. Pat dry with a paper towel if needed and remember that a little bit goes a long way (a drop or two are enough). Thanks again! And sorry for a stupid question but how the oil would lubricate blades if they are pointing down? I always tried to turn them up making possible for oil to leak between blades. Especially if the device is allowed to use for wet shaving. Doesn’t matter is it a shaver with a trimmer or a separate trimmer. Is it wrong way, how do you think? P.S. Strange that the manufacturer doesn’t specify anything about it in documentations. Maybe it doesn’t matter? Thanks for this! Very informative. My boyfriend hates shaving but he has to everyday because he is in the military. I would like to get him a nice electric razor, don’t care how much the price is really, would just like to get him a good one that he will love. He has a cheaper one right now so he doesn’t use it often. He needs one that will give him a very close shave, any recommendations? Thank you for your comment. In my experience the Panasonic Arc 5 is currently the closest shaving electric razor and works particularly well for everyday use. There are several variations available, but I would recommend the ES-LV65-S as a very cost-effective option or the newer ES-LV9N-S if your budget allows it. The latter also comes with an automatic cleaning station, but again, it is very pricey. I’ve been using electric shavers for the past 20 or so years. In recent years, the results have been terrible. On many parts of my face, it doesn’t look like I’ve shaved right after I’ve finished shaving! (The mustache is the worst culprit, and for other areas, I’ll have a 11am shadow!). I’ve tried both foil and rotary, wet and dry. Am I doing something wrong? Do I not know how to shave? Any advice? It would be nearly impossible for me to pinpoint the causes just from your previous comment. There are many factors at play, ranging from not using a suitable razor for your beard type to faulty shaving technique and ineffective prep work. It would be helpful to know if you have a light, medium or very coarse and dense facial hair, how often you shave and the exact models of the shavers you’ve used lately. I like to combine both in my shaving routine. I have a Harry’s razor and a Norelco multi-purpose tool that includes a foil shaver. I start by wet shaving with Harry’s and find that the Norelco is very helpful in eliminating hairs in close quarter areas like under the nose and spots I tend to be hit or miss with like the end of my jawline near the ears. I find this to be the most effective technique I’ve run across so far but am always open to suggestions. As a converted wet shaving purist, i would say that a Panasonic LV61 will give you the adequate shave of an ordenary Gilette Mach 3 in about half the time. If some would get closer shaves, a DE Razor and a lot more time, equipment, effort and experience is needed. Thank you for your kind comment, I really appreciate it. I totally agree — the Arc 5 is a fantastic performer, especially with regards to closeness. And some of the older models can often be found with a discounted price, so they’re definitely the ones I would recommend to anyone looking for an electric razor that can shave really close. Thank you again for taking the time to share your experience. I fully appreciate. I own a lot shavers, from Norelco, Braun and I ended up with Panasonic. I own the ES8249, the LT4N and both, the LV61 and the LV81. I updated my LV61 with the WES9032 which gives a very closer shave than the older WES9030. They are also slightly different at the foil patterns. I remember the transition of foil paterns from my Braun 7 when they changed from smart foil with randomized and closer Pattern to the actual optifoil with more comfortable but less closer regular pattern. Unlike at Braun, in case of Panasonic, the closeness seems to get straight upwards with never Foilpattern. Thank you for your comment. 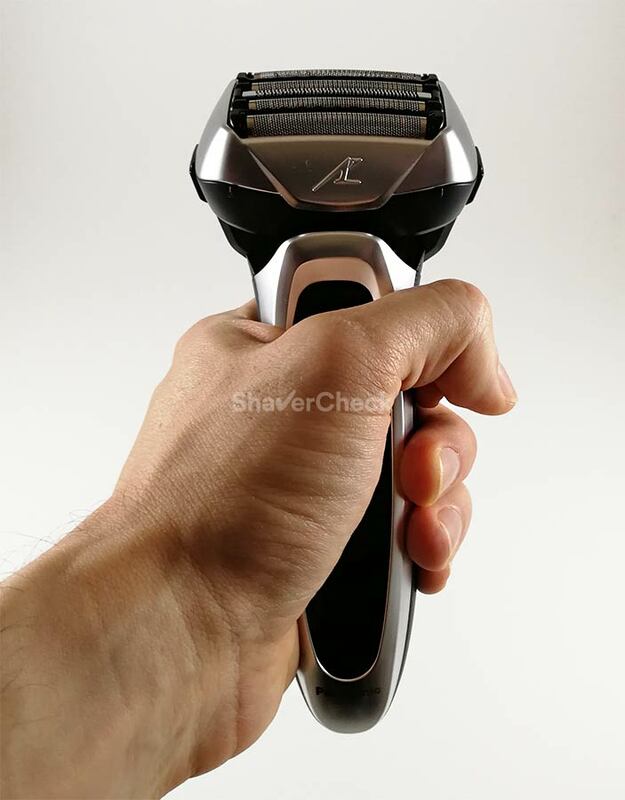 I am not aware of Panasonic changing the angle of their blades from 30° to 45° with any of their shavers, that would be a major change and I would be surprised to see that happening (even on the models intended for the Japanese market). Can you please share a link to the exact page where you saw this? The ES-LV65-S and ES-LV95-S use the exact inner blades as the first and latest generation Arc 5 (part number WES9170). These blades have a 30° bevel and have never been updated since the Arc 5 line was launched. The foils do vary throughout the different generations though and have been improved as you mentioned in your comment. The latest iteration (with the golden rollers) is more comfortable than the WES9032, but the closeness seems pretty much the same to me. now I’ve made it clear: the blade angle of 45 degree is concerning only the inner foil for cutting long hairs, not the other foils! Hi! I have a Braun Series 7 7840S Wet & Dry electric shaver with a cleaning station for it, which i use after every shave. When i try to shave dry, which i will do after taking a shower, there is very little glide so it’s very hard to shave. So i have tried using a Proraso shaving cream, this makes the shaver glide like a hard soap in the shower, which is good. But it takes forever to finish, like 10-15 minutes and the results are not always that good. And it’s very hard to see or feel if i got all the hairs cut or not. The neck is the hardest and takes too damn long, and i usually end up bleeding in couple of places. I’d very much like for a dry shave that can be done as quickly as possible. Can you give me some tips? That is actually an excellent question. In my opinion, you shouldn’t cleanse/exfoliate your face or take a shower right before a dry shave. One of the reasons for this was perfectly described by you — it will likely cause the shaver to skip and drag on the skin. It happened to me as well and I know how annoying it can be. So one workaround would be to shave first, take a shower and then apply a moisturizer/balm. I know that it seems a bit counterintuitive, but it works. In the case of using shaving cream, taking a shower or washing your face with warm water beforehand will have the opposite effect and will improve your shave. But for a dry shave, definitely not. An alternative would be to use a pre-shave lotion after your shower. It only takes seconds to apply and will provide a layer of lubrication for the shaver to glide on. My personal favorites are Freelette and Speick. In this case I think Freelette will work better, it is a pre-shave balm, very moisturizing and slick. I get some of my closest shaves when using it. Just make sure to massage it into the skin really well before starting to shave (and use it sparingly). I would like to get an electric shaver but in years past, they would not get the hair right below my nostrils(I currently use a 5 blade razor with a edger blade on the back of it). I would consider a Panasonic shaver like the ES-LF51-A. This model has quite a compact shaving head despite the 4 cutting elements and shaves really close, even if you have dense and coarse hair on that area. I do and I can confirm that it really shaves close and clean. First of all, let me tell you this site you have put together is amazing! Ok, onto my topic: For several years, I was using a rotary Noreclo 8140 Speed XL. I would change the blades at regular intervals. The shave was fine, but I am always a bit red afterwards for most of the day. Due to your website, I started using Lectric Shave and the Shaver Saver and they both had a huge positive impact. Last week, I finally dove in and bought a Braun Series 5 with cleaning station. I have a very light beard and shave every day. I still use Lectric Shave (obviously I am dry shaving). I am noticing that I am even a bit more red now with the Braun than when I used the norelco and I know I am using a far superior shaver now. Is there some sort of adjustment period I need to go through as my face adjusts to the new shaver? I thought I was going to have better results instantly so I wanted to reach out for help. In my opinion, when switching from one type of electric shaver to another (in this case from rotary to foil), the adjustment period has more to do with your technique and figuring out how to use the new shaver in the best possible way. The skin usually needs some time to adjust when switching from a razor blade to electric (and the other way around), but not so much in this case. 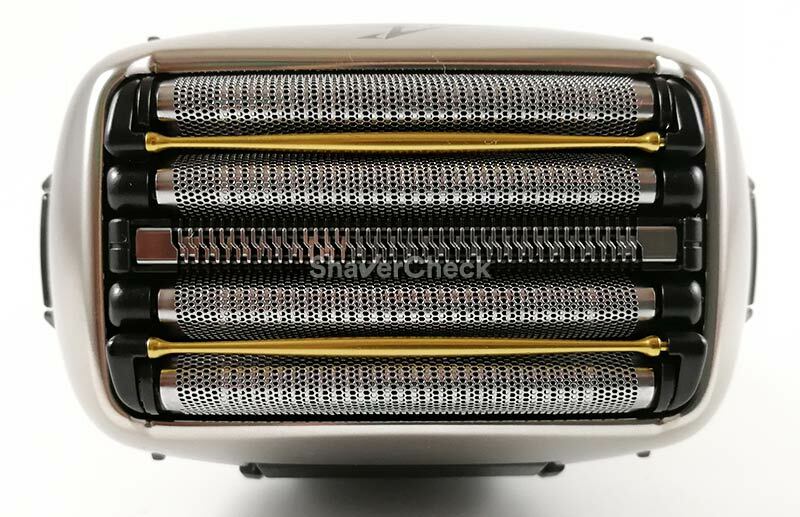 I personally would take a Series 5 over any other rotary shaver I’ve ever used, including the Series 9000 Prestige (the best rotary shaver out there in my experience). So I think your results will likely get better. Here are some tips you may find useful (the How to shave with a foil shaver section).